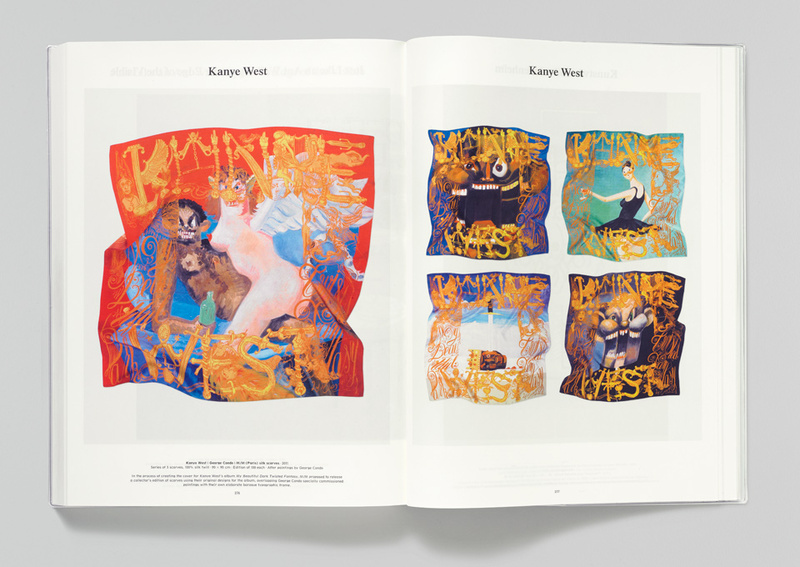 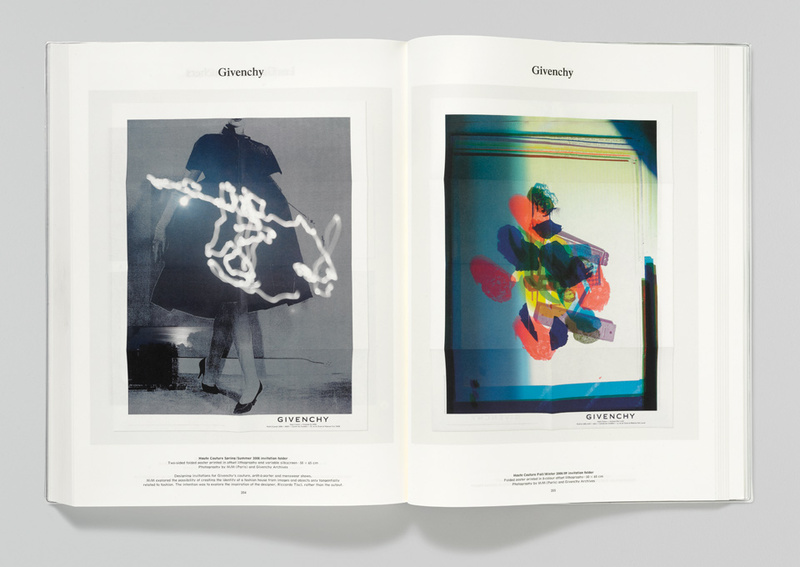 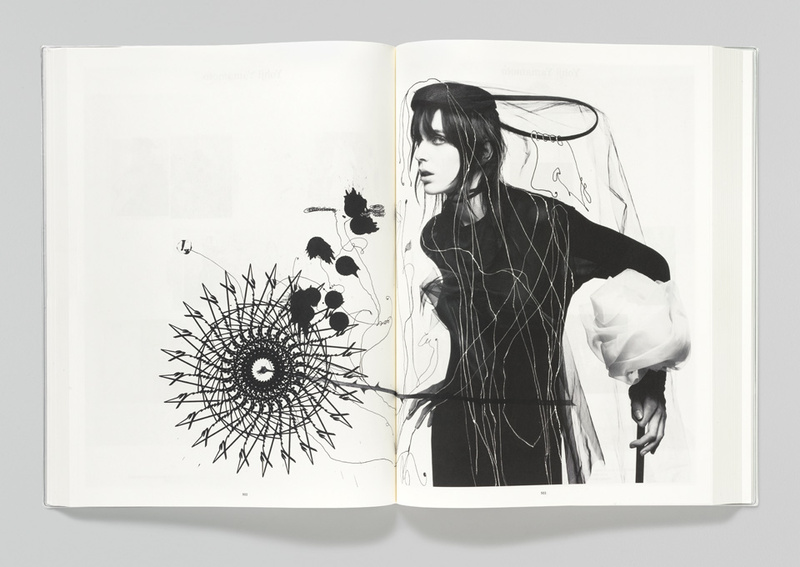 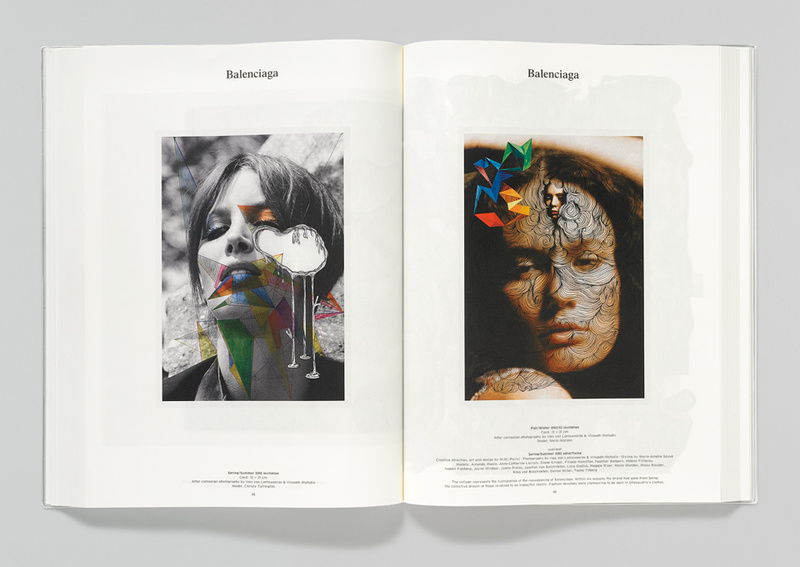 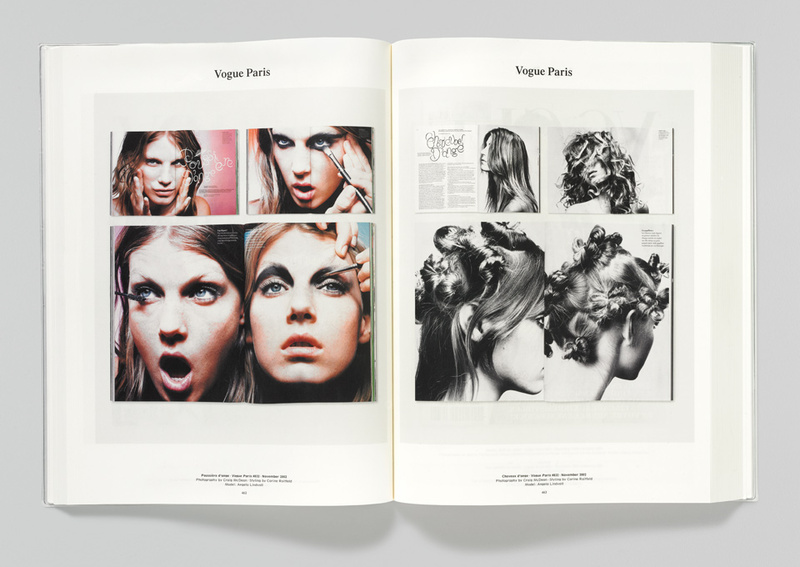 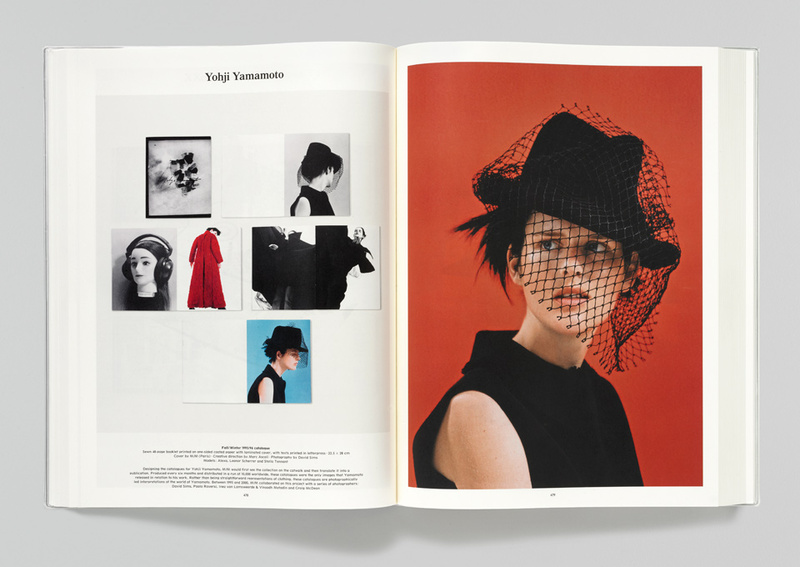 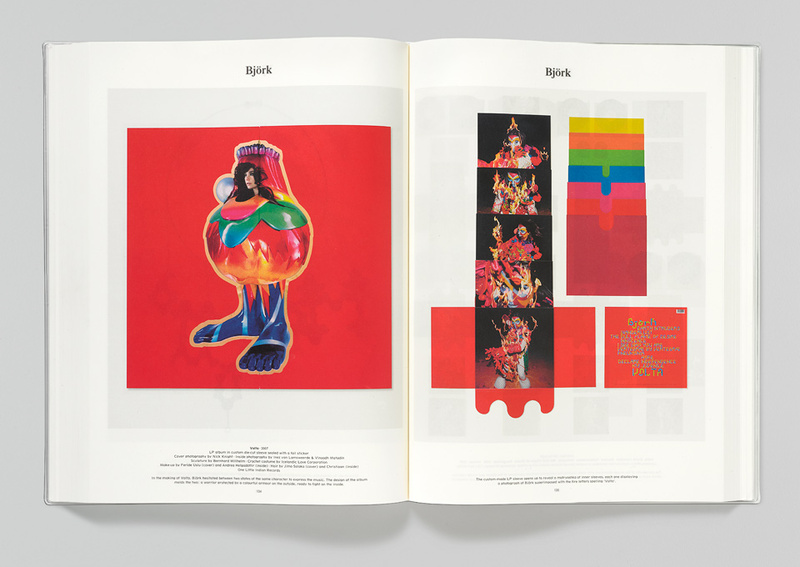 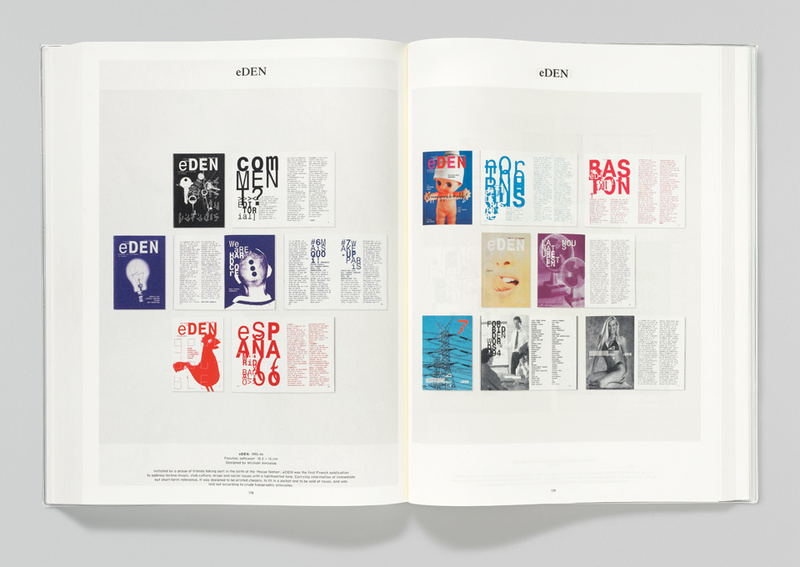 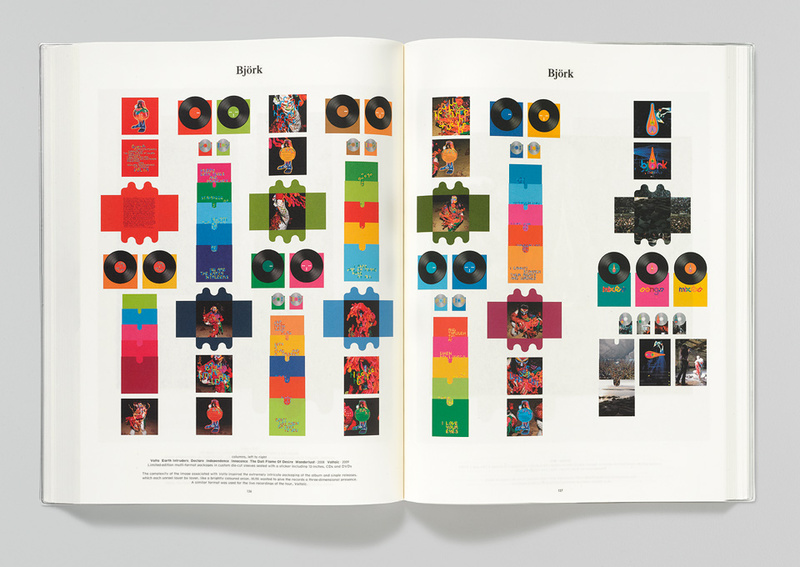 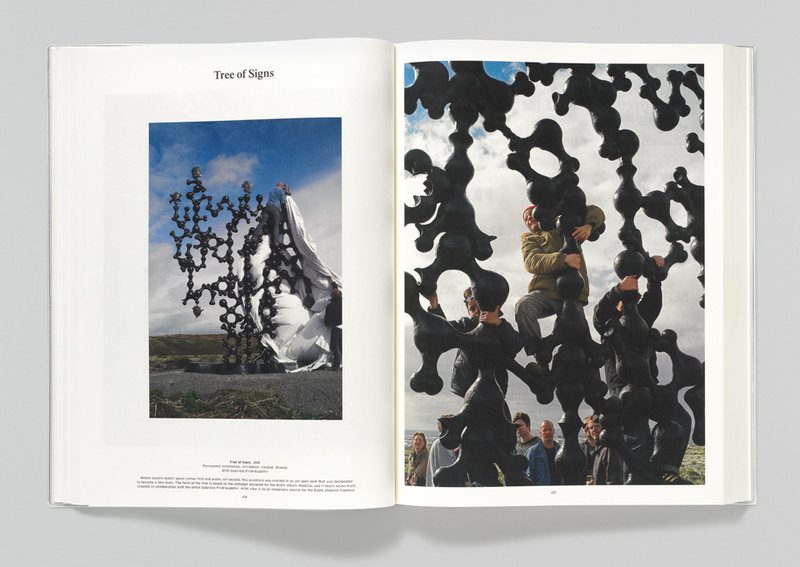 A large-format 528-page book surveying the work of French graphic design duo Michaël Amzalag and Mathias Augustiniak. 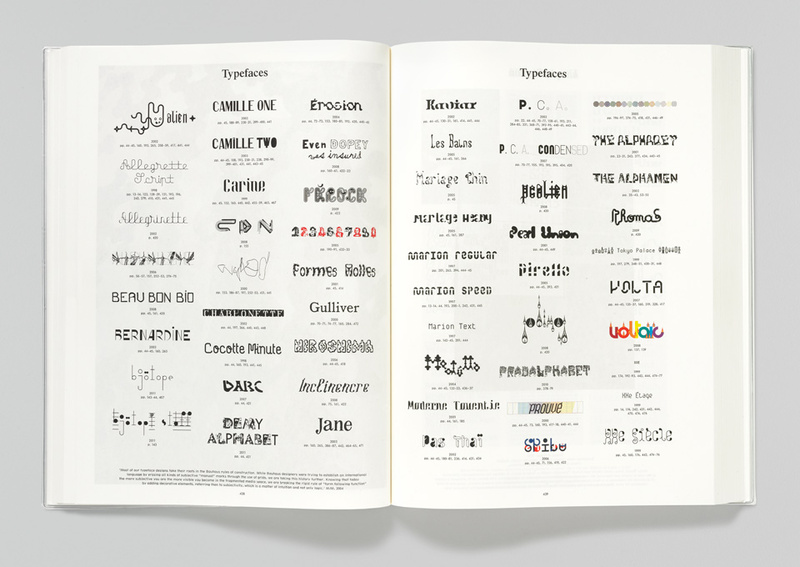 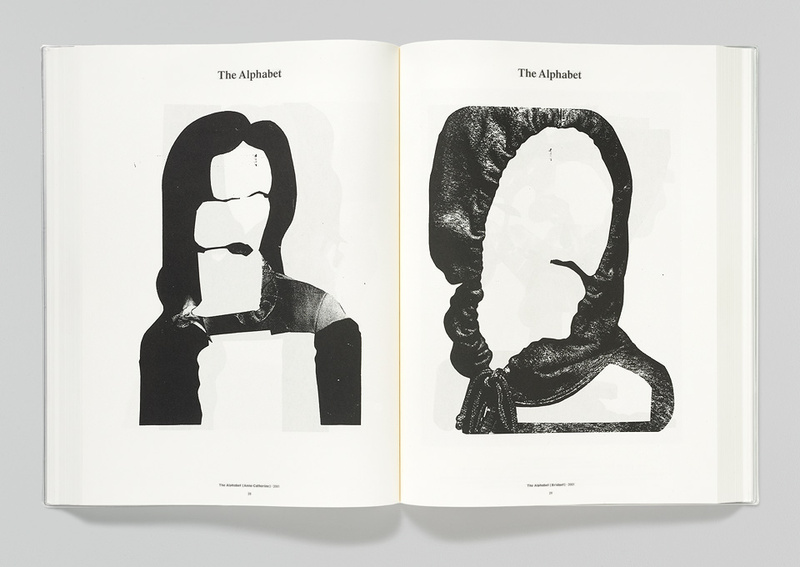 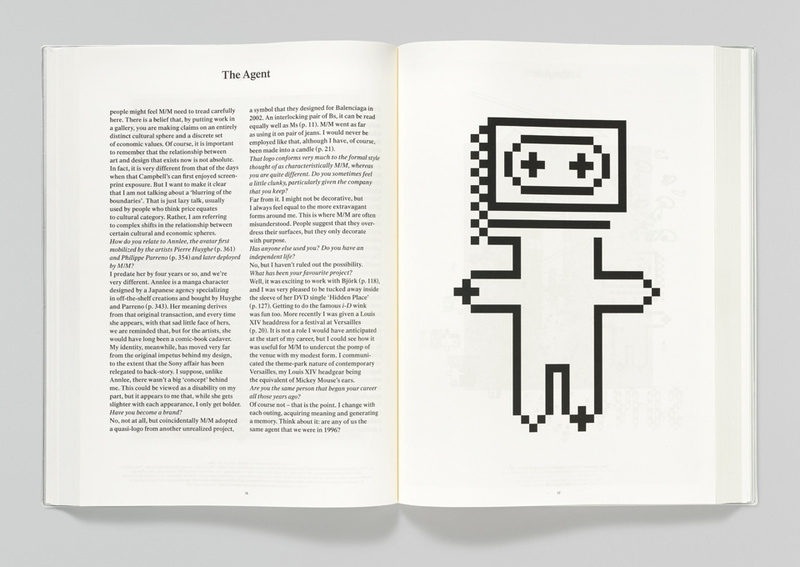 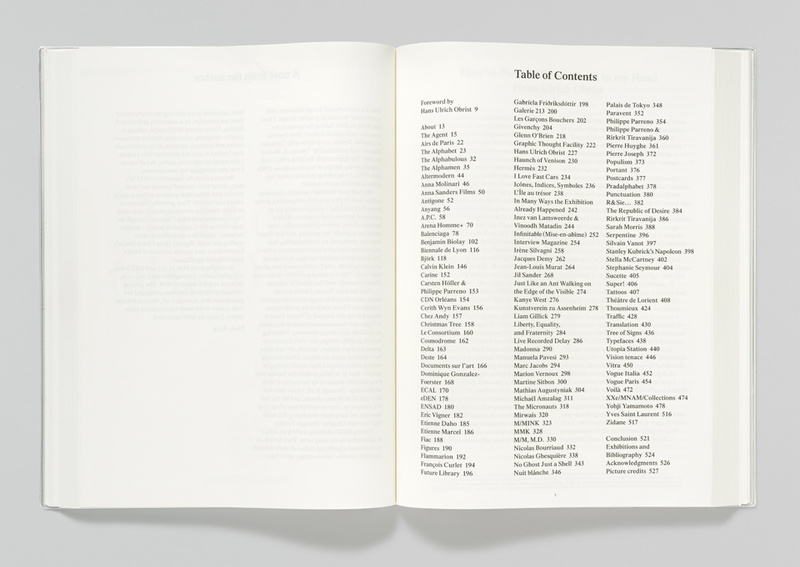 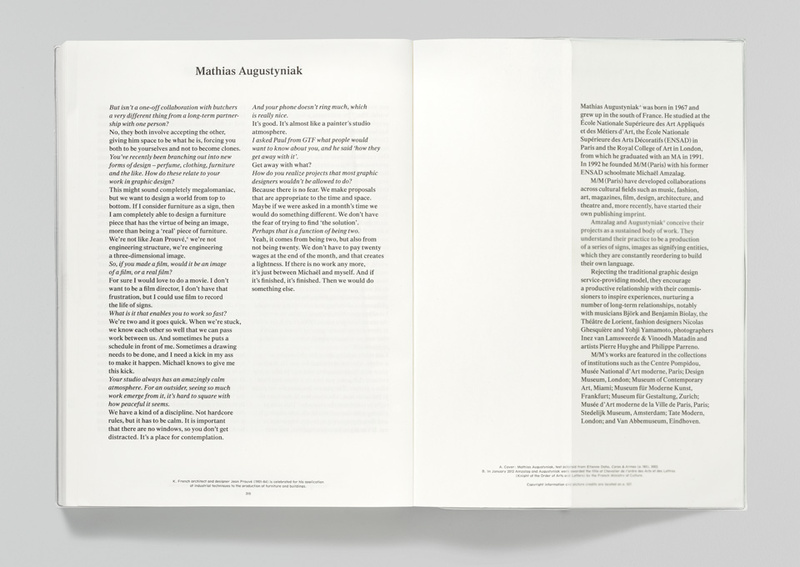 The alphabet, a re-occuring theme in MM’s work, provided an appropriate way to organise the projects and interviews. 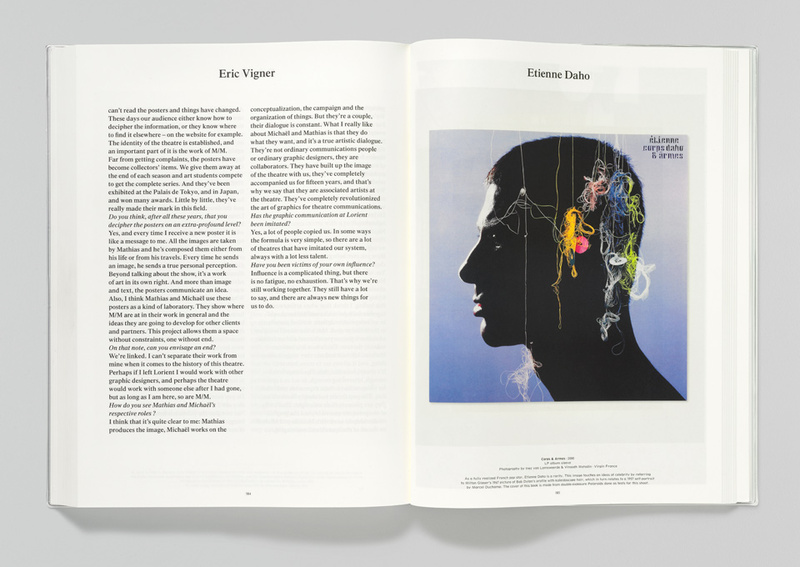 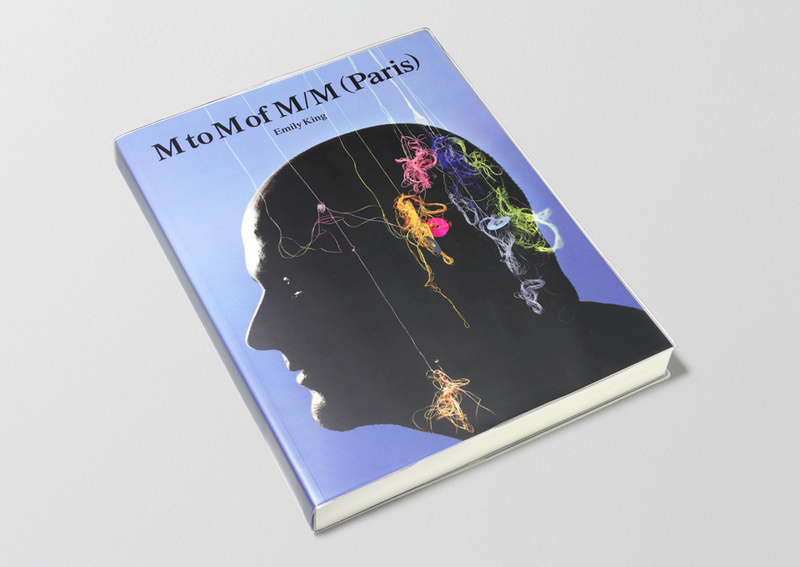 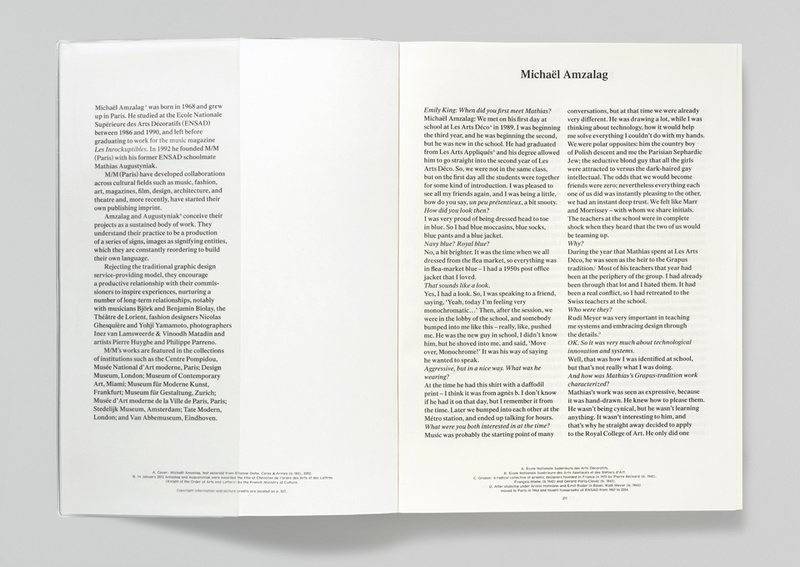 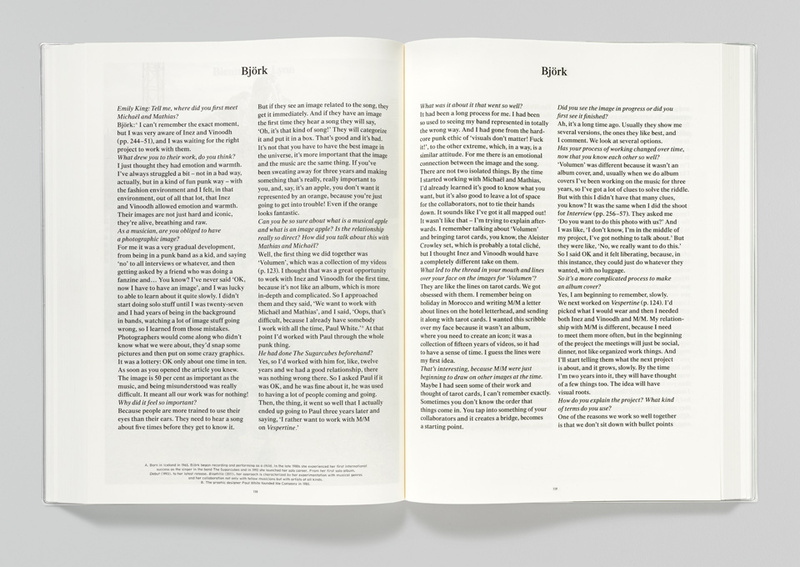 Like the cutting and re-stacking of a pack of cards, the pages are re-arranged so that the letter M opens and closes the book: Michael and Mathias sandwiching their own body of work. 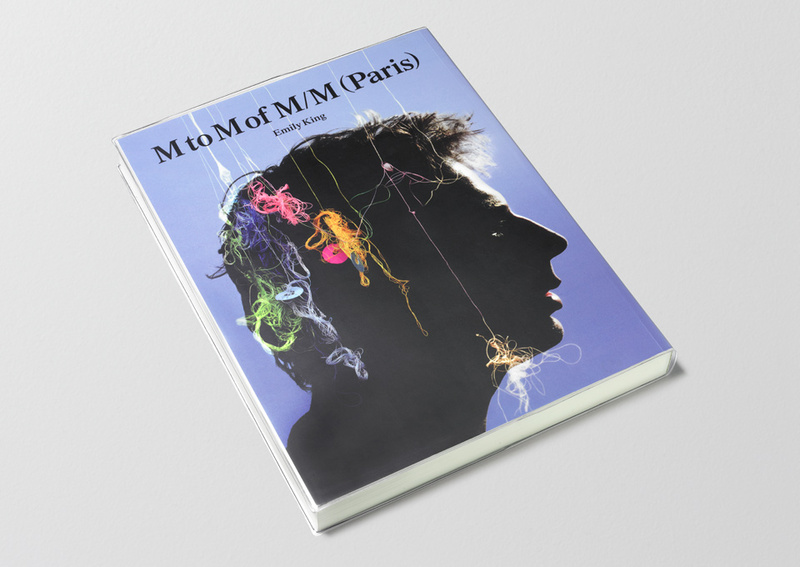 The cover portraits are test polaroids from an M/M photo shoot for the album sleeve of Etienne Daho's ‘Corps & Arms’ (2000).